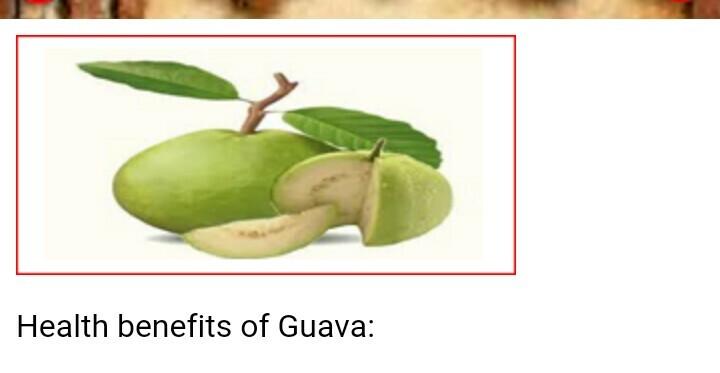 Guavas are low in calories and fats but contain several vital vitamins, minerals, and antioxidant poly-phenolic and flavonoid compounds that play a pivotal role in prevention of cancers, anti-aging, immune-booster, etc. The fruit is very rich source of soluble dietary fiber (5.4 g per 100 g of fruit, about 14% of DRA), which makes it a good bulk laxative. The fiber content helps protect the colon mucous membrane by decreasing exposure time to toxins as well as binding to cancer-causing chemicals in the colon. 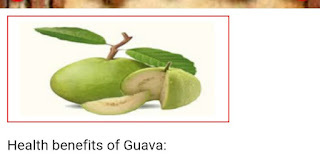 Guava-fruit is an excellent source of antioxidant vitamin-C. 100 g fresh fruit provides 228 mg of this vitamin, more than three times the DRI (daily-recommended intake). Outer thick rind contains exceptionally higher levels of vitamin C than central pulp. Scientific studies shown that regular consumption of fruits rich in vitamin C helps the body develop resistance against infectious agents and scavenge cancer causing harmful free radicals from the body. Further, the vitamin is required for collagen synthesis within the body. Collagen is the main structural protein in the human body required for maintaining the integrity of blood vessels, skin, organs, and bones. The fruit is a very good source of Vitamin-A, and flavonoids like beta-carotene, lycopene, lutein and cryptoxanthin. The compounds are known to have antioxidant properties and are essential for optimum health. Further, vitamin-A is also required for maintaining healthy mucus membranes and skin. Consumption of natural fruits rich in carotene is known to protect from lung and oral cavity cancers. 100 g of pink guava fruit provides 5204 µg of lycopene, nearly twice the amount that in tomatoes. (100 g tomato contains 2573 µg of lycopene). Studies suggest that lycopene in pink guavas prevents skin damage from UV rays and offers protection from prostate cancer. Further, the fruit is also a moderate source of B-complex vitamins such as pantothenic acid, niacin, vitamin-B6 (pyridoxine), vitamin E and K, as well as minerals like magnesium, copper, and manganese. Manganese is used by the body as a co-factor for the antioxidant enzyme, superoxide dismutase. Copper is required for the production of red blood cells.